✔ Withstands temperatures up to 450°F✔ Fits Fry Pans 10"✔ Professional grade✔ Dimensions: 12" x 7" x 16"
$1.19 TigerChef Heat Resistant Silicone Cool Handle Sleeve 4-1/2"
$1.39 TigerChef Heat Resistant Silicone Cool Handle Sleeve 4 -1/2"
Use the Crestware GGHM Medium Fry Pan Grip Insulated Handle for comfort and safety while cooking. Designed to withstand temperatures up to 450°F, this insulated handle protects your hands from burns. Made from modified rubber, this fry pan handle will endure years of heavy duty use. 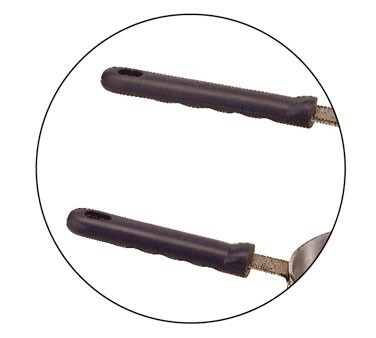 A must-have in any commercial kitchen, this medium grip handle fits 10" fry pans. Dimensions: 12" x 7" x 16"